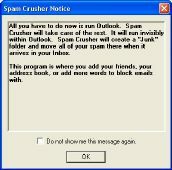 If you want to take 1 step to drastically reduce the amount of SPAM you receive, take a look at Spam Crusher for Outlook. You simply install it and your life Email life will be easier. 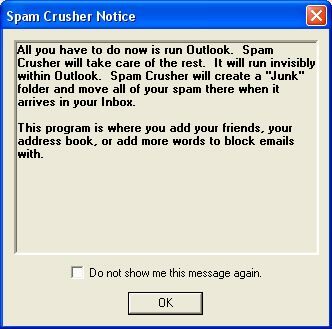 Spam Crusher for Outlook integrates right into Microsoft Outlook. As your email arrives Spam Crusher scans the email. 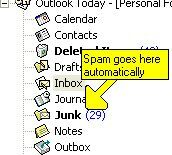 If it is spam it is automatically sent to the Junk folder within Outlook. 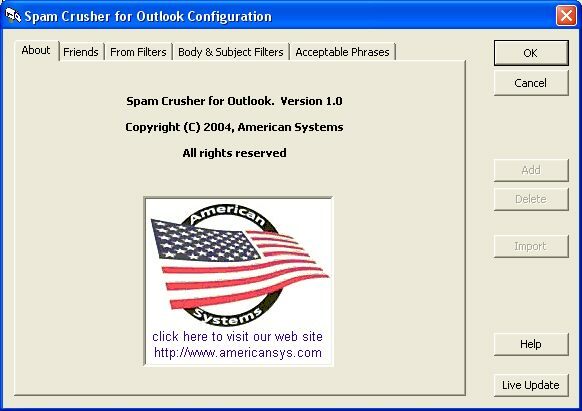 Spam Crusher is designed to filter unwanted email, while allowing the email you want to receive.